Hunters will love to have this silhouetted duck design sewn onto caps, flannel shirts or even jackets! 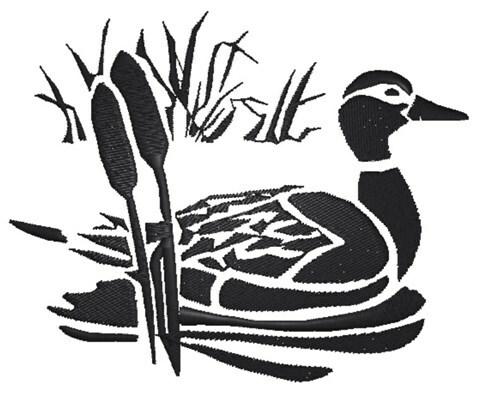 King Graphics is happy to present Duck Silhouette machine embroidery design which has 8942 stitches and is [107.95 mm x 87.12 mm] large. If you would like to view more embroidery patterns please search on our embroidery designs page.